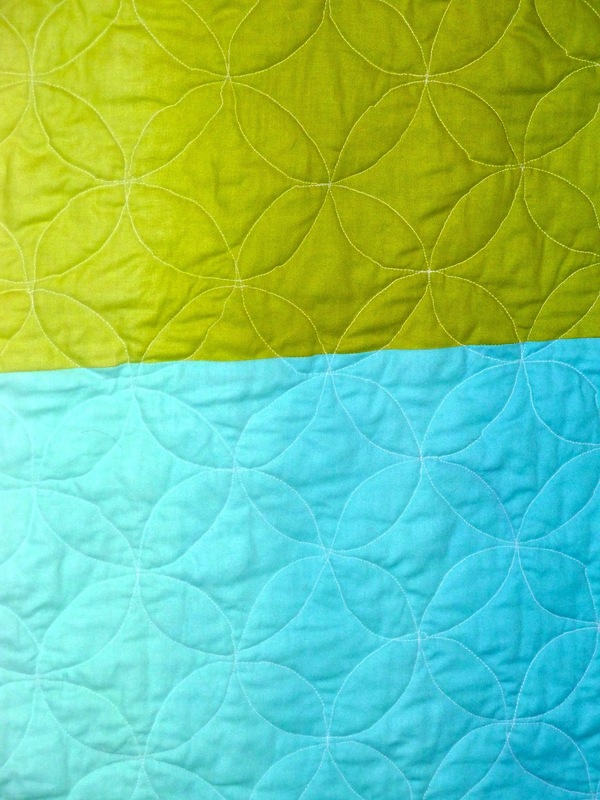 I love this - front, back and quilting. Makes me want to have a jelly roll of Simply Color as I already have the ombres from a lovely shop I know. 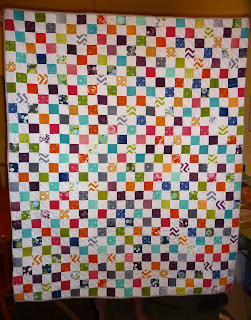 Gorgeous, quilt, and the back particularly speaks to me, who doesn't love the simple beauty of rainbow colours, perfect, and well done on the quilting, it looks fab! 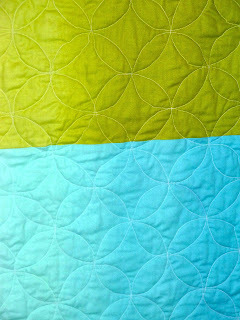 Oh that orange peel quilting is stunning Jennifer - good for you for holding on to it! I've had that happen to my FMQ foot (twice). It's beautiful!! This is grand! I wouldn't be able to give it away, for money or no money, either. Enjoy it! The quilting is just lovely! oh this is great! And you are right - the back just makes it!! I love it! And this is the second time this week that I've admired the orange peel quilting on someone's project and I really must try. You did this with the walking foot, hey? Gorgeous! I'm very impressed you managed that quilting with your walking foot! Wow! The quilting looks fab, no wonder you're keeping it! Gorgeous quilt! I love the back as much as the front! OMG. I think it would be tough to decide which side to have out and showing!! LOL! Your quilting is exceptional!